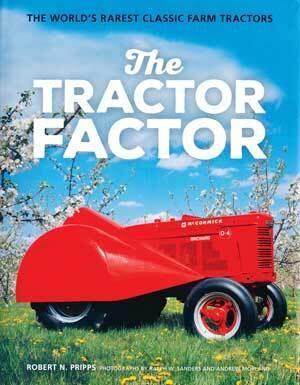 Again, author Robert Pripps comes through with another tractor book that you need for your shelf. Here he does an amazing job of explaining rare models of both common and uncommon manufacturers within a historic context. $27. Broken into chapters such as Senior Tractors, The Luminaries, Distinctive Horsepower, and The Little Guys, the book features each model with at least one or two excellent photographs by Ralph Sanders and Andrew Moreland. The group of tractors Pripps has selected includes 1919 Moline Universal D, 1921 Renault HO, a a1924 Waterloo Boy N, 1929 Irish Fordson, 1924 John Deere A, 1936 Farmall F-30, 1956 Massey-Harris 333, 1937 Love – over 70 in all. Ford is well represented here with its more unusual models. NEW, hardcover, 160 pages from the N-News, $27 plus shipping. This entry was posted in Books by N-News. Bookmark the permalink.